Breakfast. Lunch. Dinner. I’d happily take all three (in the same day) at Odettes and still go back for more. 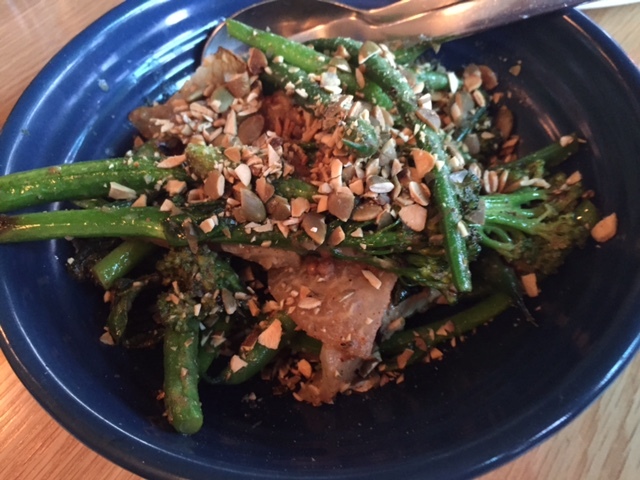 The menu is fresh, seasonal and creative, and caters well for vegetarian and gluten free diets. The food is also perfectly designed to make up a sharing feast for couples and groups alike – rather than choosing from ‘entrees’ or ‘mains’ you’re presented with a long tempting list of dishes that arrive from the kitchen as they are ready. 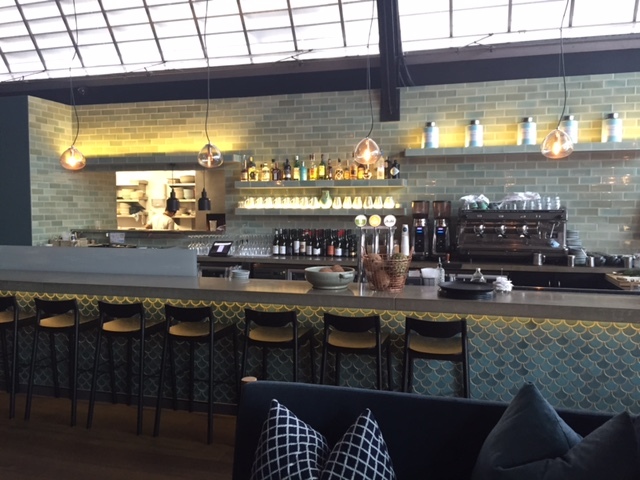 Odettes Eatery is located in central Auckland at the City Works Depot – it takes up the large Shed 5, and from the inside you’d never know it was an old converted warehouse. 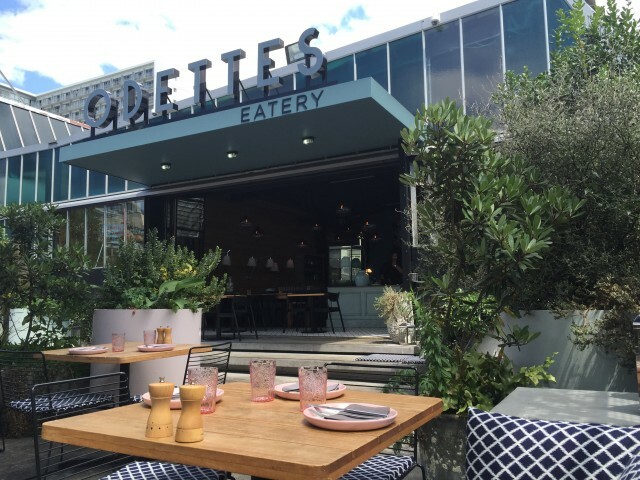 Odettes is co-owned by husband and wife team Joost and Clare Van Der Berg whose drive for detail comes through in everything from the Scandinavian inspired interior that’s worthy of a glossy magazine to the relaxed, knowledgeable and friendly service. 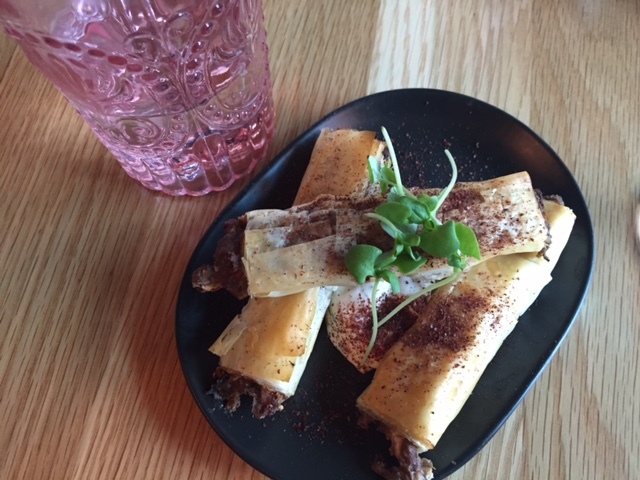 The food plays right into my feast wisely philosophy leveraging local producers and seasonal produce to deliver a menu that’s Mediterranean but with a distinctly Middle Eastern/African twist. The Head Chef, who brings experience from across the globe, has obviously picked up a love of spices and herbs, that are cleverly showcased outside of their traditional uses. Like curry leaves paired with Oritz anchovy, and a dill/sumac combination that sets off the “silverbeet firecracker”. The menu itself starts with a good selection of bites and then goes onto a whole host of larger sharing dishes – both from the garden and from the wood-fire. 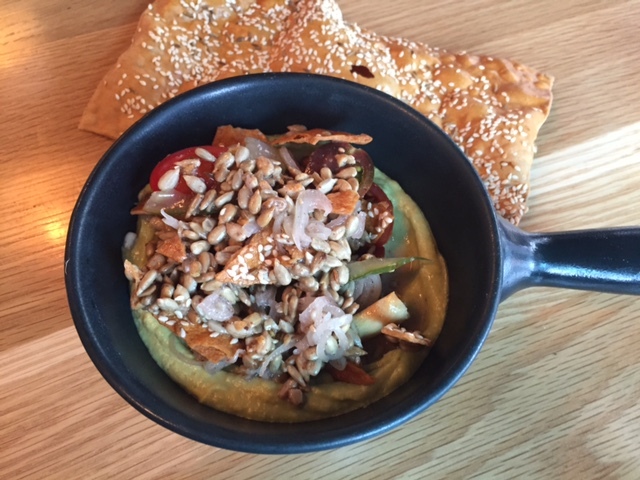 The menu is seasonal and so subject to change but I’d imagine there are a few dishes, like the avocado hummus, that have become a permanent fixture to avoid a backlash from regulars. 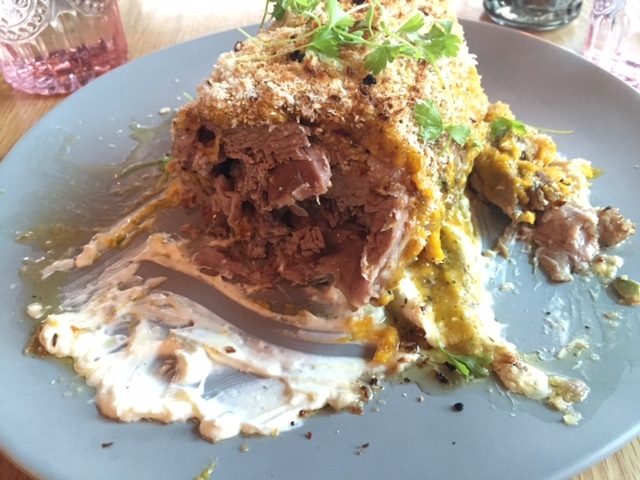 When it comes choosing the highlight of my feast at Odettes, I’d vote for the Hawke’s Bay wood-fire lamb shoulder; a generous portion of de-boned shoulder that’s very easy to share. It comes with an impressive and delicious mango crust and sits alongside an equally memorable serving of smoked eggplant. This dish is many hours in the making and perhaps for that reason only a limited number would be prepared for each service – making it all the more special if it’s available. The portion you see here is the whole shoulder for $79, but of course if you don’t share my huge appetite for lamb, or want to try a wider selection from the menu, then the half portion for $45 is an alternative option. What more could you want? Well, for me to live in Auckland would be a good start. 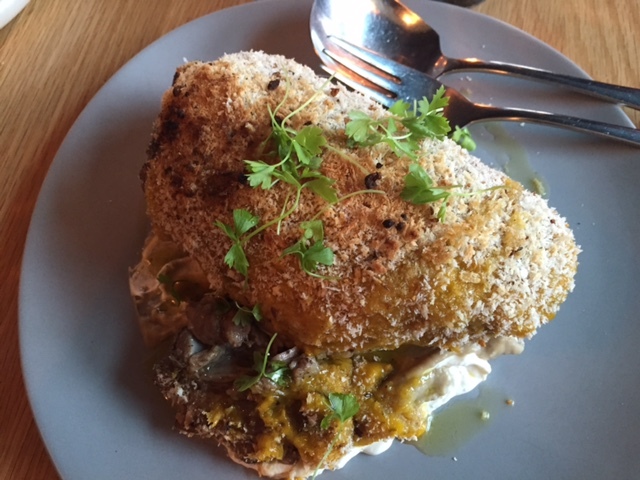 I visited Odettes for dinner on a trip from Sydney and I’m sure if I were a local I’d be a regular fixture. 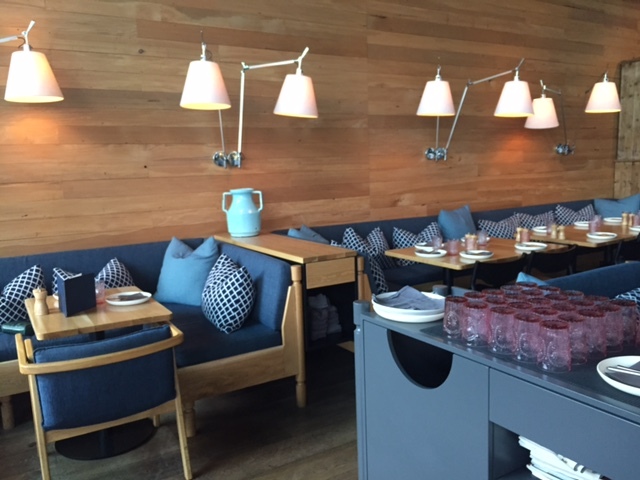 Tags: Auckland, dinner, Eatery, lunch breakfast, menu, Odettes. Bookmark the permalink. 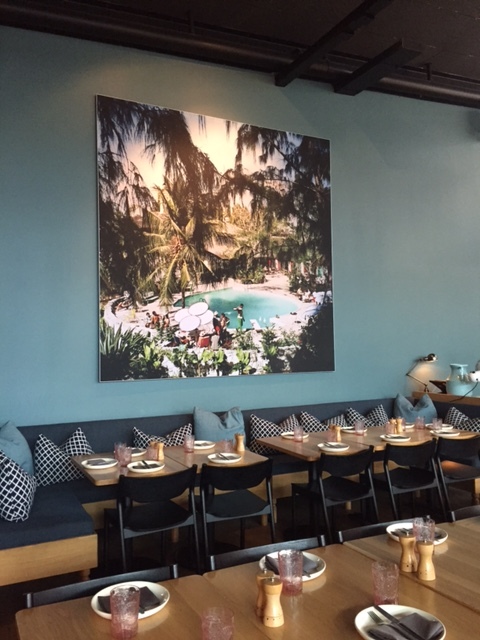 I couldn’t agree more Hungry Mum – you got it spot on – the fresh decor combined with the nourishing food will keep this spot in my memory for a good while to come…..
Lovely review Laura. I’d heard good things about Odettes and after reading this its firmly on my must try list. Lucky you Lis – I assume this means you live in Auckland. Yes do go if you can – I wish it was a local for me….